24/7 TOWING. AUTO REPAIRS. SALES. Broke down on the side of the road? We're on our way. In need of auto repairs? We're here for you. Looking for used auto parts for a reliable car? We've got you covered. 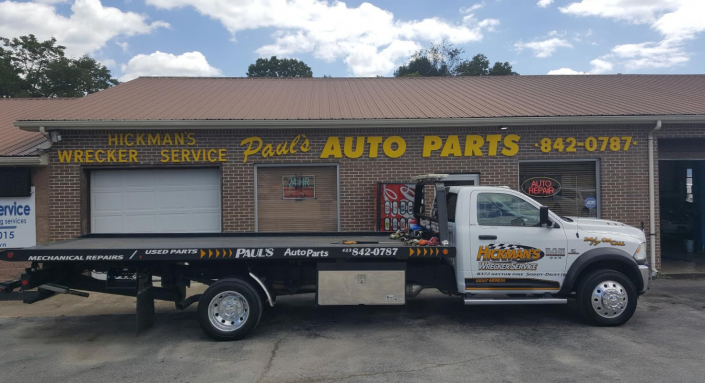 For all your auto-related needs, the team members at Paul's Towing & Auto Parts are here for you. Our experienced technicians are well-versed in performing quality auto repairs that last. Plus, you get the benefit of great deals on your rides! So, whether you are seeking to upgrade the old car to something newer, or install a few parts that won't break your budget, be sure to keep us in mind! When you need a tow, the last thing you want to do is wait. That's not the case with us. We arrive to your location without delay. We offer light and medium duty towing along with roadside services. Next time you need a tow, count on us. Ready for a new ride but you're low on cash? Not to worry! We've got your back. We house a unique selection of used vehicles for prices you can afford! Plus, we salvage and repair parts you can purchase from us as well!